Artistry Hardwood Flooring is a division of Catalina Home. 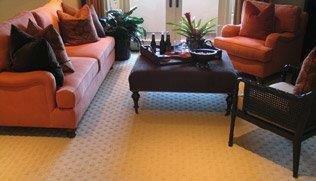 Catalina was originally founded in 1975 as a high-end nylon carpet manufacturer under the name Catalina Carpet Mills. As the demand for high-end hard surface flooring began to increase, the decision to enter this market came in 1994. Today we are still owned and operated by the original founders; however we have added hardwood flooring, turf, and rugs to our portfolio of product offerings. All Catalina Home products are developed to complement one another and work cohesively. Our goal is to offer a complete product line including all major flooring categories with total continuity. The high-end segment of the market is our niche and it’s also our success. Floor covering is a very large industry with many choices and a huge selection of products. Whether it's our carpet, rugs, turf or hardwood, Catalina Home rises above the competition with distinctive California styling backed by a proud history of integrity, quality, and service. Artistry Hardwood Loft Collection 6"
Artistry Hardwood Windsor Collection 8"
Artistry Hardwood Heritage Collection 7" and 10"
McCurley's Floor Center, Inc. and MacFloor.com have been proud to offer Artistry Hardwood Floors for many years. In addition to our national distributor channels, you can find Artistry Hardwood products in our showrooms in the Northern California/Bay Area at San Ramon and Concord, CA. These showrooms display a large selection of Artistry Wood products available for instant purchase or to be shipped nationwide. McCurley's Floor Center is licensed, bonded, and insured, and our in-house installers have knowledge and experience with the Artistry Hardwood Floor selection. Our professional staff can help you with any hardwood or other flooring project from sample selection to free estimates and consultation to delivery and flooring installation. At MacFloor.com and McCurley's Floor Center we specialize in green and environmentally-friendly hardwood and flooring products designed for sustainability. Come visit us and see our line of Artistry Hardwood Floors today!